Latinos are part of the largest racial or ethnic minority in the United States, and they recently surpassed whites as the numerically dominant demographic group in California. The country is nearly 40 percent minority, and experts believe people of color could eclipse the white majority by 2043. Diversity is everywhere you look these days — on television commercials, in pop music, in sports, in public universities. But Hollywood, an industry that calls a 73 percent minority county its home, is actually losing ground when it comes to hiring people of color. So says the 2016 Hollywood Diversity Report by UCLA’s Ralph J. Bunche Center for African American Studies. Researchers, led by Bunche Center director Darnell M. Hunt, looked at the top-grossing 200 films in 2014 as well as at 1,146 television shows, including online programs, from the 2013-14 season. “Minorities lost ground in six of the 11 arenas examined and merely held their ground in the other four,” the report states. This at a time when the Academy Awards is feeling pressure from minority groups — a protest led by Rev. Al Sharpton is expected to happen outside Sunday’s event — because only whites received acting nominations for the second year in a row. -In film, minorities got 12.9 percent of lead rules, down from 16.7 percent in 2013, UCLA says. 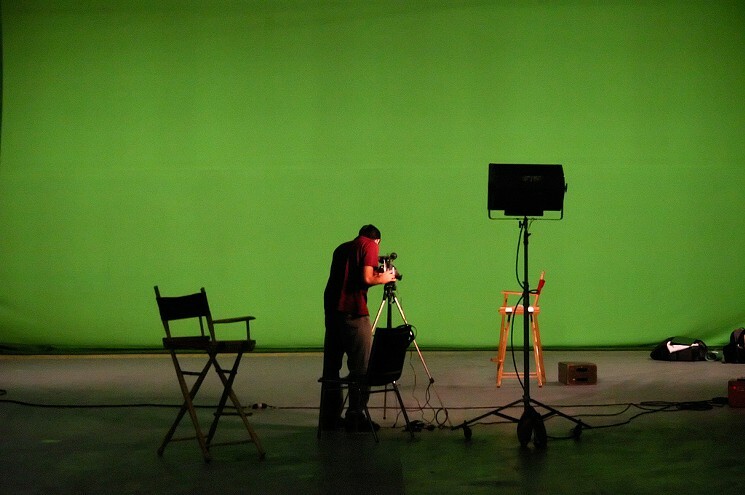 -Minorities got 12.9 percent of the film director gigs, down from 17.8 percent in 2013, the report says. -For women directors, that figure was women just 4.3 percent, down from 6.3 percent in 2013. -Minorities were writers on 8 percent of the films examined, down from 11.8 percent in 2013. -Women got writing credits in 9.2 percent of the films, down from 12.9 percent in 2013. -Women got 35.8 percent of the lead roles in broadcast scripted shows, down from 48.6 percent in the 2012-13 season. -Minorities got 15.9 percent of the lead roles on cable shows, down from 16.8 percent in 2012-13. -Minorities were credited as show creators in 3.3 percent of the broadcast scripted shows examined, which is down from 5.9 percent in 2012-13. One hopeful highlight was in broadcast scripted TV, where minorities got 8.1 percent of the roles, according to the study. That’s up from 6.5 percent in 2012-13. The study also reiterated that diverse productions — those with casts that were greater than 30 percent nonwhite — made more money for the industry. It also found that broadcast TV shows with casts that were 31 to 40 percent nonwhite received the most mentions on Twitter. “What we’ve found for three years running now is that audiences prefer content that looks like America,” Hunt said. Unfortunately, it looks like Hollywood still isn’t getting the message. The article was published in LA Weekly. Early on Wednesday evening, as the sun began to set and the air cooled to just below freezing, police arrived at a unremarkable white home in Fort Wayne, Indiana, a few blocks from the campus of Indiana Tech. We do not yet know who called them or what they expected. Inside, they found the bodies of three young men, shot multiple times in what police, on Friday, called “execution style” murders. The young men were members of a predominantly Muslim diaspora community whose roots are in Africa’s eastern Sahel region. They were Muhannad Tairab, age 17, Adam Mekki, age 20, and Mohamedtaha Omar, age 23. Police have identified no motive in the killing, which appears to be something of a mystery. The modest white building had apparently become something of a “party house” used by local youths, but police said there was no known connection to gangs or any other violent organization. Indeed it may turn out that there was some unseen force at play here: gang violence, a robbery gone awry, some personal dispute. Nonetheless, it seems impossible, at this point, to completely rule out the possibility that this could be exactly what Muslim American rights group already fear it may be: an expression of America’s increasingly violent Islamophobia problem. In recent months, there has been an alarming trend of violence and violent threats against America’s community of roughly two to three million Muslim citizens. More isolated acts of violence — what we might call “lone wolf” attacks had the religions of the shooter and victim been reversed — have been so frequent they are difficult to track. On Thanksgiving, a Pittsburgh man accosted his Moroccan cab driver with questions about ISIS, then shot him. Two weeks later, a Michigan man called an Indian store clerk a “terrorist” before shooting him in the face. On Christmas eve in Texas, a local man charged into a Muslim-owned tire shop and shouted “Muslim!” as he opened fire, killing one and critically wounding another. Less than a week ago, a Missouri man charged at a Muslim American family with a handgun, telling them, “This state allows you to carry a gun and shoot you. … You, your wife, and your kids have to die.” The family was able to flee. This has not come out of nowhere. Islamophobia has entered mainstream American discourse in the past year, receiving substantial airtime on cable news networks. CNN anchors have called Muslims “unusually violent” and “unusually barbaric”; Fox News has called Islam a “destructive force” and suggested that Muslim American communities are running secret terrorist “training camps.” Presidential candidates from Donald Trump to Marco Rubio continue to dabble in overt Islamophobia. It is important to caution against assuming that whatever happened this week in Fort Wayne, whatever chain of events led to the mysterious “execution-style” murders of three young men, must necessarily be part of the rising wave of Islamophobic violence in America. Police are presumably cautioning against that conclusion for a reason, and it may well turn out that their deaths are entirely unrelated. Still, it is difficult to ignore that three apparently Muslim young men have been murdered, for no immediately obvious reason, just as indiscriminate violence against Muslim Americans is growing out of control. It is thus concerning that these murders have received so little attention, if only for the possibility, however remote, that they could be part of this trend of religious violence against American citizens. As a thought experiment, scroll back up to the top of this page and read back through, but this time imagine that the Muslim victims of violence, in every instance, were instead Christian. Imagine that the perpetrators had all been Muslim, and had targeted their victims explicitly because of their Christian faith. Imagine that, rather than Donald Trump calling for banning Muslims from entering the US, it was Rep. Keith Ellison, who is Muslim, calling for banning Christians. Imagine that Rep. André Carson, who is also Muslim, complained bitterly when President Obama responded to anti-Christian violence by visiting a church, and that Carson further argued America should be willing toclose down churches and anywhere else dangerous Christians might congregate. Now imagine, amid all this anti-Christian violence and anti-Christian hatred, as Christians were gunned down in the street for their religion and crowds of thousands gathered to cheer anti-Christian rhetoric, that three Christians youths turned up mysteriously executed a few blocks from Indiana Tech. Ask yourself whether it would be treated as major news, if only for the possibility of its connection to that wave of violence, or whether it would be largely ignored, as the murders of Tairab, Mekki, and Omar have been. The article was published in Vox. The Summit, which has been organised by IT News Africa and sponsored by Telkom, will see these leaders discuss vital topics around the impact of technology on education. 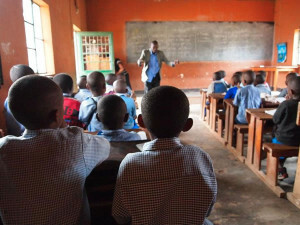 Ahead of the summit, IT News Africa is highlighting some of the top education apps for Africa. The apps featured below offer users the opportunity to learn new languages, discover various facts about global history, as well as brush up on their math and science knowledge. Top Education Apps for Africa. The Khan Academy application offers, according to the developers, over 10 000 educational videos that relate to subjects such as math, science, economics, history, and a variety of other subjects. To add to the features, the Khan Academy app allows students to keep learning, while offline, by downloading the required content to their mobile device. The app also allows students to learn using videos and in-depth articles in math (arithmetic, pre-algebra, algebra, geometry, trigonometry, statistics, calculus, linear algebra), science (biology, chemistry, physics), economics, and even the humanities with tutorials on art history, civics, finance, and more. It also allows students to discover how the Krebs cycle works as well as learn about the fundamentals of music notation. For students aged 7 and up, Toca Lab Explores the colourful and electrifying world of science. The app introduces students to the Periodic Table and teaches them about 118 of its elements. However, the learning does not stop there. Toca Lab gives students the ability to use virtual lab equipment in order to conduct experiments. Toca Lab is a place for playing, learning and having fun, and with it the developers have the hope that it will inspire kids to explore science. African students who are looking to travel the world have the opportunity to learn English, Spanish, French, German, Italian, Portuguese, Dutch, Irish, Danish, Swedish, Russian, Ukrainian, Esperanto, Polish and Turkish with the DuoLingo app. According to the Google Play Store, the Math Expert application has been downloaded over 1 million times. The app covers various topics such as basic arithmetic, area calculation, trigonometry, polynomal division and more. The WhizApp application is another free education app that ranks high. The main subject that the app focuses on is mathematics. Essentially, the application will test a student’s response speed and memory power in a fun yet challenging manner. According to the developers, Whizapp is a simple yet fun application that trains the brain via mental calculations, increasing response speed, concentration and memory power. The Yoruba101 application is a paid for app. The application offers students and adults the opportunity to learn about the language and the culture of the Yoruba people – who are located in Southwestern and North central Nigeria as well as Southern and Central Benin in West Africa. The app has interactive lessons and games with performance trackers to monitor user progress. The app was designed and developed by Genii studios as part of its Asa apps series. The Complete Physics application offers students various tutorials when it comes to physics related formulas and practicals. The app also features a physics quiz and also includes a physics dictionary. Complete Physics, according to the developers, covers the syllabus for exams like WAEC, NECO, JAMB, KCSE, Post JAMB and GCE. The app also covers the following topics: Physics as a science, Kinematics, Fluid, Scalar and Vector, Force, Circular Motion, Energy, Momentum, Heat Energy and Thermodynamics, Optics, Waves and many more. Do you know why van Gogh cut off his ear? Or who is Vermeer’s girl with the pearl earring? With the Daily Art app art will no longer be a secret for you. Daily Art, which is another free application, highlights an education field that is often neglected… Fine Art. The educational app showcases a new work of art each day. Each piece of art showcased comes with the name of the painting, date that is was released, and information relating to the painter. Apart from daily showcases, the application also has an art archive. The art archive allows students to search through famous paintings, which include anything from the Eva Prima Pandora to the Elephant Hanno. Access riveting talks from some of the world’s most fascinating people — wherever you are. TED’s official Android app presents bold, new thought leadership from education radicals, tech geniuses, medical mavericks, business gurus, music legends and other remarkable minds. The app allows students as well as business executives to find thousands of inspiring talks that cover topics surrounding from inspirational, creativity, motivation to human psychology. for those looking to positively affect your knowledge base… this is the app for you. If you are the type of student that wants to know what happened on this day in history… then this is the app for you. The app is packed full of interesting facts that relate to this day in history. History buffs will get to learn about important events that took place on this day in history. Additionally, students will have the opportunity to learn about various events as well as deaths and births that occurred on each day. 1878 years ago: The roman emperor Hadrian adopts Antoninus Plus, effectively making him successor. 219 years ago: Colonel William Tate and his force of 1000-1500 soldiers surrender after the last invasion of Britain. Apart from the above mentioned Education Apps, IT News Africa also identified the Top 10 Healthcare Apps for Africa – which can be found by clicking here. As a young Pakistani-American Muslim girl growing up in Connecticut, Zareen Jaffery used to devour novels by Beverly Cleary and Judy Blume, hoping those stories would offer some clues for how to fit in. Some 30 years later, Muslim characters remain scarce in mainstream children’s literature. But now Ms. Jaffery, an executive editor of Simon & Schuster Books for Young Readers, is in a position to change that. Ms. Jaffery is heading a new children’s imprint, Salaam Reads, dedicated to publishing books that feature Muslim characters and stories. The imprint, which Simon & Schuster announced this week, will release nine or more books a year, ranging from board books and picture books to middle grade and young adult titles. The creation of a Muslim-themed children’s imprint is likely to further fuel the continuing discussion about diversity in children’s publishing. Salaam Reads is also arriving in the middle of a fractious and polarizing political debate about immigration and racial and religious profiling, when minority groups, and American Muslims in particular, feel they are being targeted. Ms. Jaffery, 37, had long been bothered by the lack of Muslim characters in children’s literature. But the problem started to feel more acute about three years ago, when she began reading books with her young nieces and nephews. “It was hard not to notice that none of those books really reflected their experience,” she said. She brought up the idea of seeking out books about Muslims with Justin Chanda, the publisher of Simon & Schuster Books for Young Readers. Rather than just releasing a scattered selection of books, they decided to create a new imprint, and chose the name Salaam, which means peace in Arabic. The books won’t emphasize theology or Islamic doctrine, Mr. Chanda said, but will highlight the experience of being Muslim through their characters and plots. “We have a chance to provide people with a more nuanced and, in my estimation, a more honest portrayal of the lives of everyday Muslims,” Ms. Jaffery said. Mr. Gonzales, an alumnus of HBO’s “Def Poetry Jam” who converted to Islam, said he was immediately game when Ms. Jaffery recruited him to write a book for the imprint. Moroni (Comoros) (AFP) – The vice president of the Indian Ocean archipelago of the Comoros, Mohamed Ali Soilihi, won the first round of the country’s presidential elections with 17.61 percent of the vote, preliminary results released late Tuesday showed. Soilihi edged ahead of Mouigni Baraka, the governor of Grande Comore island, who garnered 15.09 percent, ahead of Colonel Azali Assoumani, who placed third with 14.96 percent. The three candidates will now face off in a second-round of voting on April 10, with the winner succeeding outgoing President Ikililou Dhoinine. Some supporters of Fahmi Said Ibrahim, who had been one of the favourites but trailed in fourth place, alleged his low count had been due to fraud. Police dispersed a small group of Ibrahim supporters who gathered at the party’s headquarters on Grande Comore. An African Union observer mission led by former Tunisian president Mohamed Moncef Marzouki said “apart from few isolated incidents, the entire election took place in an orderly and peaceful” manner. The first round of voting on Sunday only took place on Grande Comore, in accordance with electoral rules that ensure the president is chosen on a rotating basis from one of the country’s three main islands. The system was established in 2001 after more than 20 coups or attempted coups in the years following independence from France in 1975. Dhoinine’s completion of his five-term term has been seen as a sign of growing stability in the Comoros. The article was published in Yahoo! News. City officials on Tuesday unveiled a new digital version of Compstat that will give the public ‘”unprecedented”’ access to the most current NYPD crime statistics. The innovative technology, dubbed Compstat 2.0, will be accessed by NYPD beat cops through their smart phones to give them more complete, timely reports on crime as it happens, officials said. The public can retrieve the information through a link on the Police Department’s Web site, which is currently up and running, officials said. “CompStat 2 is the ability to take all of the CompStat information…with a few exceptions…and now share it with both you – the media – and to the public most importantly,” NYPD Commissioner Bill Bratton told reporters at a press conference at police headquarters. Those “exceptions” include crime victims’ names and the exact addresses of incidents, officials said. For now, in terms of crime locations, only the closest intersection will be released to the public, they said. The crime numbers used in CompStat — the department’s 21-year-old crime-data tool — will be updated every Wednesday, allowing the public to review the numbers even before NYPD brass discusses the statistics at their weekly CompStat meeting held on Thursdays at 1 Police Plaza. “I want people in this city to know this is another step toward being the strongest, best police force in the 21st century,” de Blasio said. Up until now, the public did not have access to this level unless they went to the precinct and asked for reports, which would be redacted of names and addresses. The technology, which can be released throughhttps://compstat.nypdonline.org, will give any user the ability to conduct a crime-data analysis of a certain area, mapping statistics down to the nearest intersection. Users can view citywide Compstat numbers for crimes including, murders, assaults, shootings, rapes, robberies, felonies, and grand larcenies, broken down by borough or by precinct. Historically, rapes had been only mapped by the precinct and not by the nearest intersection. “No other police department provides an analytical engine for crime mapping and review,” Tisch said. The NYPD’s rank-and-file access to the data will also improve policing, officials said. So far, 25,000 cops or 70 percent of the force have been issued smart phones. All 36,000 cops on the force will have smart phones that can access the data by next month, officials said. Officials praised the smartphones used by police officers for helping to fight crimes. “The fact that these smartphones provided these basic tools to cops has in and of itself driven productivity in this department and that’s even before you start to discuss the custom applications that are available to the cops on the phones,” Tisch said. One app alerts cops of 911 calls even before they come over the radio. A blast messaging app allows them to get officer safety alerts and missing person alerts. The phones also have a mobile fingerprinting system. “Yesterday, 5,329 cops swiped their ID on the back of their smartphone to use one of the custom designed apps,” said Tisch. Those 5,329 cops looked at 28,941 911 jobs, viewed 2,079 wanted fliers, and ran 36,000 searches or queries of databases, according to Tisch. Leaving Sierra Leone with my son. Sitting next to me is former parliamentarian newly appointed Minister of State Isata Kabia. Ms. Kabia sponsored the right to abortion bill that was passed in parliament but that got sent back by the President after giving in to pressures from a male dominated assembly of religious leaders. I went to the Immigration Head Office in Freetown, Sierra Leone on a Monday to submit a passport application for my son. On this day I entered the building sans problem, I went passed the security, greeted them and asked for Mr. Kakay’s office. They directed me to a desk inside the building. I went there and they said he was on the third floor. I spent something like 2 hours at the Immigration Office and was told to return two days later at about 10am to collect the passport. On Wednesday morning with my son in arms, I got out of the car and proceeded towards the entrance just as I had done two days before. I said Good Morning and was about to continue on when a police officer stopped me. This was the same officer who I had greeted two days earlier. I knew he recognized me because I recognized him. “Excuse me?” I asked half confused. “You can not enter you are wearing a singlet,” he said. He points to a sign that was behind him taped on the side of the entrance that I had not noticed when I came on Monday. From where I was standing I could not see the sign. I took a breath. A very deep breath. “OK. I understand but that sign is all the way over there and I didn’t know there was a dress code. I’m just here to pick up my son’s passport”. “That is not my problem, go and come back,” he said. Another Police Officer, he looked older standing on the top of the platform brought himself into the conversation. “In a hotel, but I can’t go and come back to change my top”. “Ah well you cannot enter here like that, that is the rule”. I take another deep breath. I am holding my baby so I don’t want to be upset. Since giving birth 5 months ago, I have taken to wearing tank tops to make it easier for me to breastfeed as and when he needs it. They can see that I am holding a baby. They can see that it is hot. They can also see that by the fact that I was there at the Immigration Office which serves that I am also Sierra Leonean, like them. “No I won’t be able to do that”, the younger of the two officers said. At this point of the conversation I had been reduced to 60 percent of self because when you have to deal with micro aggressions whether they be race or gender based that is what happens. You are reduced to feeling less of a person. The rationale for these dress codes is that if you are a woman and you have on a sleeveless top or shirt or dress that you must be there to seduce one of the Immigration staff. That any woman who dresses like that must be there looking for a man. Because that is what we women do, we come with our breasts to shove in their faces. “Me noh know that”, he says. At this point people start to gather and they start to ask what, and why. I am still holding my son. Still standing under the sun and now being reduced some more, as I am shamed for wearing a tank top by all the additional eyes there present. I am now 50 percent of self. I explain myself to three different people. One man an older man comes out and says yes you must respect our country. You go back to where you came from and wear proper clothes. You can not come in here. I am still holding my son. We are still under the sun being refused entry into a building where I spent many many years playing under the desks. Until I was age 10, when we left Sierra Leone, my mother’s office was on the third floor. This was once the Ministry of Foreign Affairs and I had grown up, eating groundnut under the tables, with the children of other Ministry staff. After school we would all walk from our various schools, and collect each other and make it to our parents’ office. 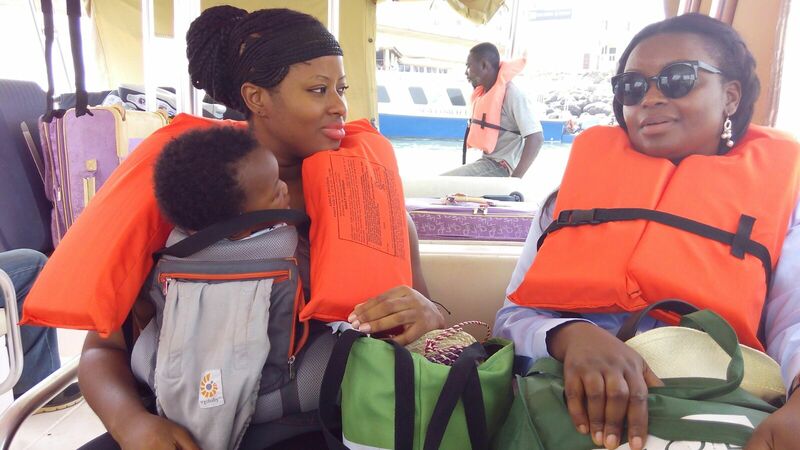 It was like a unique form of Daycare, that for the most part is probably being practiced in offices in Freetown. You go wait at your parent’s office and you go home together. In this office I had been locked countless times in the elevator when there was light off. I had lost one shoes, socks, books, and toys countless times. It was ironic that of all the buildings in all of Freetown that it would be this same one that my mother had served in for some 30 years that I was being refused entry. I am asked to step to the side. That I should not block the entrance. People have to go in, I was not people, for this morning I was less than that because I had on a tank top that revealed my arms and chest. They point to the side of the building, a little off to the right. I step away from the front. I stand to the side. It seems like it is going to drizzle. Oh no those aren’t rain drops, they are the tears that start to well up whenever I get reduced below 50 percent of self. It seems my tears never can hold below this point. I will not cry. You must not cry I tell myself. This is what Sierra Leone does, it tries to make you powerless. It tries to reduce you. You must not be reduced. I must say something to fight back. “You know this is what is wrong with this country?” I say it loud enough for them to hear me. I’m not sure anyone even cares or hears me but I feel better saying that. I know that whatever indignity I am suffering here, I know for a fact that it compares not to the indignities women of lower socio economic status have to suffer in Sierra Leone. I reassure myself that I will get in. This is how they are. I don’t even know who “they” are but I know that this is them. A man comes out and he says he wants to help me. I have caused enough of a fuss I guess, by refusing to walk away and be dismissed. He asks me what I want and I tell him. Then he goes inside and a woman comes out and hands me a very very sheer scarf. I don’t know how many others like myself, having been reduced have shared arm skin on this scarf. I take it reluctantly barely covering with it and walk passed the police officer. The woman I am going to meet is already coming down the steps, someone had told her I was there. She takes me to the passport section downstairs, formerly the protocol division of Foreign Affairs of which my mother was a director of an all male team. It takes me 5 minutes to sign the form and receive my son’s passport. It took me 30 minutes to enter the building. I didn’t bother to read the sign the was printed on A4 and stuck on the inside of the building. I don’t know if the dress code is even legal especially when it only applies to women. This is not the only government building in Sierra Leone where women are subjected to this kind of harassment and indignity. At State House, the Office of the President you will be turned away depending on who you are if you are wearing pants, yes even a corporate style pant suit because women wearing trousers clearly are sexually loose and will come there to seduce their employees. The same goes for the Youyi Building, if you attempt to enter it on foot, and if you are a woman who looks like you are not well off someone will attempt to stop you. Every single day women are being harassed in Sierra Leone, suffering micro aggressions put there to reduce them, and make them feel less. It happened to me, it could happen to anyone and after this incident I read a letter from the nation’s corporate affairs boss, another woman who was subjected to the same reductions. Posted on Feb. 17, 2016, at 3:43 p.m. 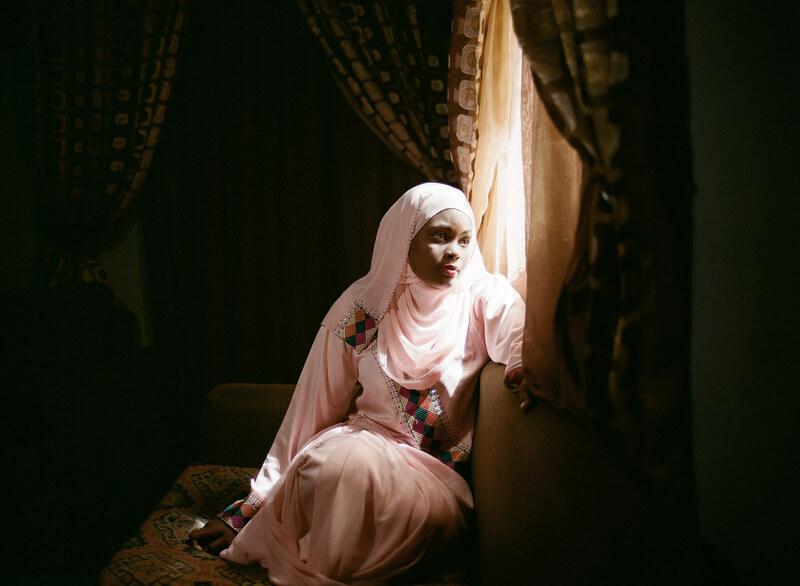 Photographer Glenna Gordon spent months capturing female Muslim writers whose books are among the dozens of cheap, pamphlet-style novels popular across markets in northern Nigeria. Known as “littattafan soyayya” – meaning “literature of love” in northern Nigeria’s Hausa language – the plots all revolve around love and marriage. But not all the stories are Mills and Boons-style fantasies: some are subversive or political, tackling subjects like child marriage and trafficking. The movement was born in the northern capital of Kano in 1990, when author Balaraba Ramat Yakubu published Sin Is A Puppy That Follows You Home. The novel was based on her experiences of being a child bride before being divorced and destitute by the time she was 19 years old. 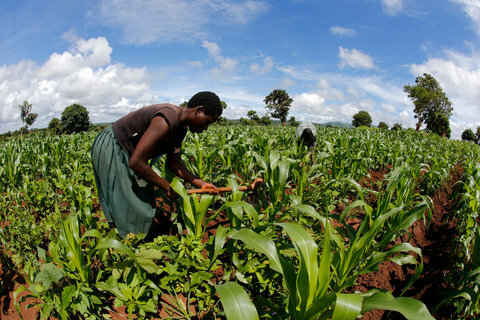 Gender disparity is high across all of Nigeria, but particularly in the Muslim-majority north, and many of the authors struggled to get an education. A minority are encouraged to pursue writing by their families. But all face public censorship. In 2007, then-governor of Kano, Mallam Ibrahim Shekarau, publicly burned the novels, which he claimed were “pornographic” and out of line with northern Nigeria’s traditional values. In her book titled Diagram of the Heart – named in the style of the pocket-sized novels – Gordon shows another side to a region known to the outside world primarily for attacks from Islamist militants Boko Haram. Gordon, who has also tackled subjects such as the mass abduction of 276 schoolgirls by Boko Haram, also documents the weddings and glamour that accompany life in northern Nigeria, which revolves around family ties. To check out more of the photos, visit the article, which was originally published in BuzzFeed. Moroni (Comoros) (AFP) – Voters in the Indian Ocean archipelago of the Comoros cast their ballots in an election for a new president Sunday from a crowded field of 25 candidates, with a struggling economy and poor infrastructure high on the agenda. 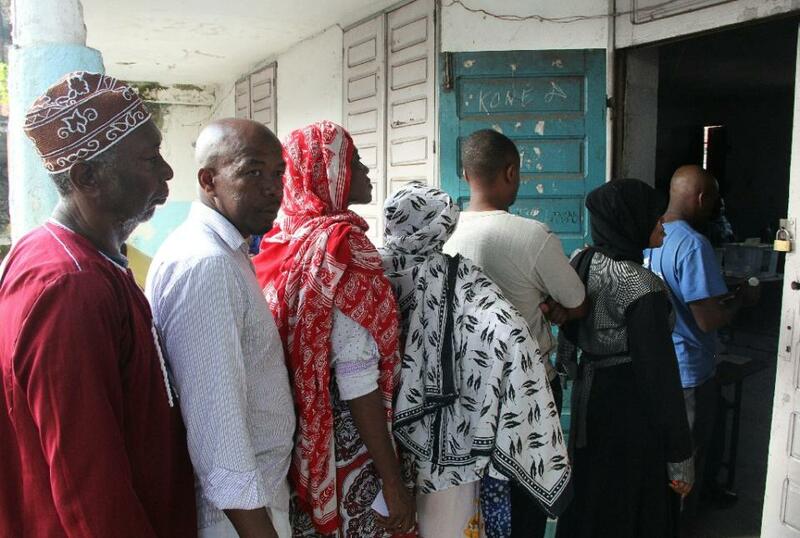 A total of 159,000 voters on Grande Comore island were eligible to vote in the first round of the election, in accordance with electoral rules that stipulate the president is chosen on a rotating basis from one of the archipelago’s three main islands. “Yes, he came to power through a coup but it helped get the country out of chaos,” Toioussi told AFP. 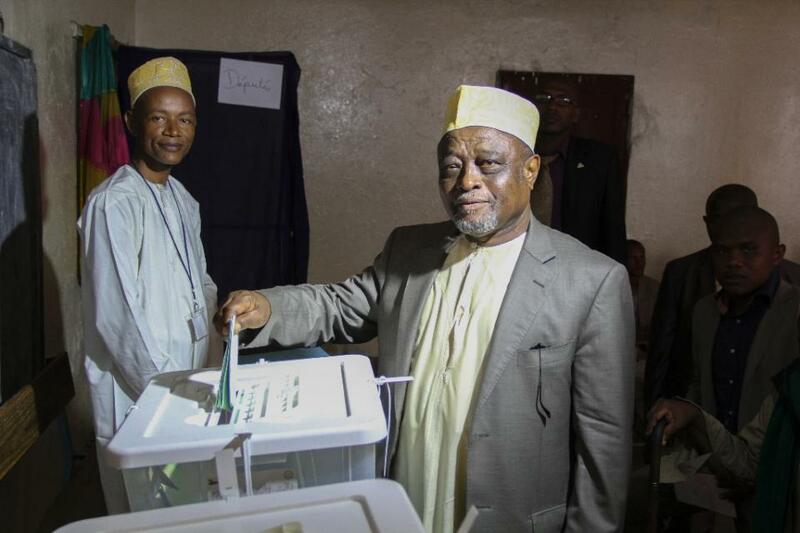 Dhoinine’s successful completion of his five-year term has been seen as a sign of growing stability in Comoros, though many candidates had expressed fears of electoral fraud. “Real efforts are being made by the election commission and international actors to ease any political or social tensions,” European Union representative Eduardo Campos Martins said. With suspicion poisoning the political atmosphere in the archipelago nation, “we are entering the sensitive phase now, with the tallying and counting,” said Nadia Torqui, a UN consultant. The electoral commission on Saturday had agreed to a request from 20 candidates to ban proxy voting, seen as a possible source of fraud, “to preserve the peace”. Voters were also set to be forbidden from leaving Moroni or moving between villages unless they had an official pass “to avoid double voting”, the interior ministry said. The article was originally published in Yahoo! News.